It’s a big month for the PlayStation Now Subscription, with new games and new devices to play on! I’m excited to announce that PlayStation Now subscription is now available for purchase and play on 2015 Sony Blu-ray players in the US, and select 2014 Sony TVs in the US and Canada. Even more devices will be announced in the coming months, offering subscribers more flexibility in how and where they play PlayStation Now games. If you’re not sure if your Sony TV or Blu-ray player is PS Now enabled, you can check out the supported model list in our FAQ. 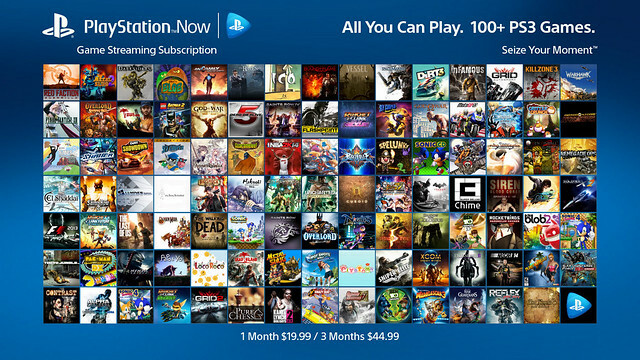 Moving on to PS4, we’ve made it a little easier to find the PS Now subscription app. As of System Software Update 2.50, the app is now installed by default on the PS4 system — no download necessary! Simply start the app from the content launcher on your PS4 system, and if you haven’t tried the subscription yet, try it out with our free 7-day trial. Last but certainly not least, here are the new games added to the PlayStation Now subscription catalog this month, giving subscribers fresh games to play and even greater value with their subscription. This month we add the third chapter in the saga of fortune hunter Nathan Drake, where a search for the fabled “Atlantis of the Sands” propels him on a daring trek into the heart of the Arabian Desert — a journey that pits him and his mentor Victor Sullivan against the occult treachery of a shadowy clandestine organization and its ruthless leader. When the terrible secrets of this lost city are unearthed, Drake’s quest descends into a desperate bid for survival that strains the limits of his endurance and forces him to confront his deepest fears. Multiplier. Multiplier. Weapon overdrive. Want to know which game the first PlayStation Now closed beta testers could not get enough of? Super Stardust HD! In this fully updated version of the classic game Stardust, your mission is simple: destroy everything in sight! Visit different planets and fend off giant asteroids and waves of enemies by utilizing three upgradeable weapons to save your home solar system from total annihilation. You may be thinking, I’m a shooter guy, or I’m an adventure gal, why is there a billiards game on this list? An important feature of PlayStation Now is giving you a variety of genres to experience. Easy to pick up yet very addicting and challenging, sports fans are calling this one of the best pool simulators they have ever tried. Give it a shot — you may not be able to put it down either! Set in contemporary and stylish pool bars, Hustle Kings allows players of every skill level to immerse themselves in one of the most realistic billiards experiences ever realized through true-to-life physics and stunning, photo-realistic lighting and graphics. Warning: This game is hard! If you’re looking for a nice way to unwind after a long day, try one of the other games in the subscription, because this game will kick you in the teeth! If you’re up to the challenge, however, Ninja Gaiden Sigma consistently makes it into the top 10 lists of the most difficult games of all time. Play as Ryu Hayabusa, a young master ninja who seeks vengeance against those who attacked his village and stole the Dark Dragon Blade. 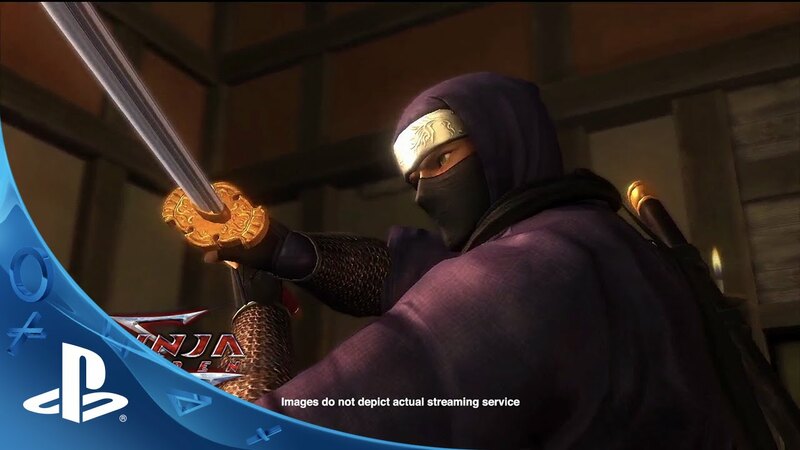 Challenge the action-packed world of Ninja Gaiden Sigma and complete the journey. Here’s a fun fact: the second rarest Trophy for Dead or Alive 5 Ultimate is in the tutorial. If you are just two Trophies away from this Platinum, jump back in and earn “A Fighter is Born: Complete all lessons in Tutorial.” The Trophies you earn while playing on PlayStation Now sync with your PlayStation 3 Trophy progress, so it’s a great way to raise your game completion levels. Dead or Alive 5 Ultimate heightens the signature DOA fighting style with the inclusion of new modes from DOA5 PLUS, dynamic new stages, and deadly new fighters to deliver the ultimate in fighting entertainment. Players will take on the roles of their favorite Dead or Alive fighters — as well as combatants new to the franchise — in an intense, action-packed brawler set in visually striking locations from around the world. The famed DOA hand-to-hand combat is enhanced with new content that extends the experience. 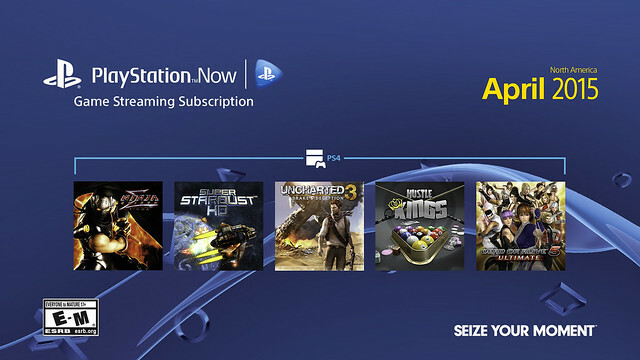 Want a full list of the awesome titles in the PlayStation Now Game Streaming Subscription? Visit us here. Enjoy the new games of April, and we’ll be back with even more adventures to discover next month! Heavy Rain? Beyond: Two Souls? Resistance 1/2/3? MotorStorm 1, MotorStorm: Pacific Rift? Feel sorry for people who pay and support this pathetic attempt at backwards compatibility. Customer wants a yearly subscription at a reasonable price. Although I think that PS Now is a great service, it really is not economical for me to subscribe at this point. First of all, it is a bit pricey. Second, I still have such a large backlog of games on my PS3, that it makes more sense for me to play one of those games that I already own, than to pay for another subscription. Not only that, but I am also building up a nice backlog on my PS4. After all, you can only play one game at any given time. So I have more than enough to keep me busy without even needing Now. Please put SOCOM 2 multiplayer up on the service and you’ll find it to be an honest to goodness system seller/subscription seller. The prices are NOT unreasonable. This is a RENTAL SERVICE. Have you ever actually gone to a video store and rented a game? Do you know how much it costs to rent 1 for 5 days? Or can you imagine how much it would cost to rent 115 for a full month? What is it with this generation of “gamers” feeling so entitled? Do you people truly not see how insane you are to demand that you can rent all the games you want for a flat fee of $5 a month? If you can have access to a fully library for the price of one indie game, you should be thanking Sony for this. But, as all many of you do is complain, it’s clear that you are just here to throw a fit and have absolutely no interest in ever subscribing to this service, so get lost. So now Sony wants us to pay even more money for an additional service when we’re already paying $49.99 a year for PS Plus? No way, anyone who has PS Plus should at least get a significant discount. @35, you are one of the most intelligent and reasonable people on here. Thank you for being level headed and not sounding like an over privileged baby! Everything you said was spot on! @30, no offense but you must be trolling or have really really bad reading comprehension skills. Add rare titles.. like Ni No Kuni!!!!!!!!! Great collection of games. Great service. Really worth the money. And this isn’t an attempt at “backwards compatibility” because it works on so many devices. I never expected my Vita to play PS3 games. Or my TV. Or my blu-ray player. Another reason I like it, sometimes I want to play a game (even if I own it) but don’t feel like waiting several hours downloading it and chewing away data off my data-cap. PS Now is so much faster and easier. Also waiting for the subscription plan to be accessible from the Vita/PSTV. @PanTheMan16 What the hell is wrong with you? Why are you sticking up for sony in every blog post? Is entitled the only word in your vocabulary? We’re paying customers and we have a right to state our opinion so up yours, buddy. While I think that the pricing for PS Now is expensive, people who are asking to be able to access games they already own on PS Now are kind of crazy, in my opinion. PS Now is a rental service, and more importantly, a rental service that requires constant use of Sony’s servers to operate. It’s totally different from the traditional concept of the game operating on your console locally (via disc or digital copy) and Sony’s servers only sending and receiving multiplayer and/or voice data. Streaming a game on PS Now means constant information flowing back and forth even if you’re playing a game alone. That costs LOTS money, and Sony’s servers are not infinite. Just think. If everyone on PS Now could infinitely play games that they already own on PS Plus for free, no one would bother paying for PS Now and the PS Now servers would be clogged by players who aren’t paying for the service. With no revenue stream coming in, the service would not be able to grow and improve, as Sony would have no money to invest in the service. PS Now fails. The End. As someone who already owns pretty much every game he could possibly want on PS3, PS4 and PS Vita via purchases or his Plus subscription, I honestly feel that currently there are so many sales and cross-buy opportunities on PSN and Plus that it’s fairly inexpensive to own the same game physically on multiple platforms (and don’t forget the power of Remote Play!). Certainly, being able to play the same games you already own on PS Now for free would be awesome, the immediate benefits would be far outweighed by the one big negative of the service not generating a profit and ultimately getting shut down. I honestly would not object to a subsidized monthly/annual rate for PS Plus subscribers. I’d be okay paying $5-8 for PS Now, which would put it on par with Netflix. I could always cancel my PS Now subscription and re-subscribe when there’s a particular game or set of games I’d like to play and finish, but not necessarily own. Request for Lightning Returns on PSNow :D – I would love to play that on Vita as well! A lot of good points have been made regarding why this service is so different from movie streaming, and why the price may be more justified than many seem to think. Nonetheless, I don’t believe it’s outrageous to request some kind of annual option and/or a Plus discount. Not everyone is demanding every game ever for $5/month. Games bought digitally being available to stream for free may indeed be unworkable. But that only means Sony is doing a terrible job of explaining why that’s the case. Even if they just copy/pasted the same response in every post, it would be better than remaining silent. @CraddaPoosta: I agree in part. But I’m sure there’s a great overlap between those who prefer to own games physically and those who enjoy Netflix/Redbox. I like physical over digital when it comes to so-called AAA games. I’m wary of digital “collections” as they rely on both proprietary hardware *and* proprietary networks. When it comes to indies, it frankly doesn’t matter because most aren’t available in physical form. Now if only this wasn’t grossly overpriced. @64 – You are not a “paying customer”. Your only intention here is to criticize something that you have no interest in. I generally don’t have much good to say about Sony and I am not a PS Now subscriber, as I already own all the PS3 games I ever wanted and the service holds no value to me, personally. However, as someone who is old enough to understand the concept of renting games – via a video store or an online service – and as someone who understands value, I can say that PS Now is absolutely worth the price point for those who would find enjoyment from it. Granted, it isn’t for most of us; It’s best for people who are new to gaming or who are new to PlayStation and want to experience what they have missed out on. You, like most, complain because you don’t understand that PS Now was never intended to appeal to absolutely everyone. You don’t want it, you don’t pay the subscription fee and you are wrong in every conceivable way, every time I I have ever seen you comment. I would much rather be able to transfer my downloaded content from my PS3 to my PS4. Or just be able to redownload it to my PS4. There are many PS2 games I would love to buy, but haven’t because I do not want to download games to my PS3 anymore. @69 I honestly foresee an annual option eventually… instead of a discount, it will probably be a “PS Now +” subscription. $180 a year will get you PS Now AND PS Plus. The problem with doing yearly subscriptions right now, is that the service is still a fledgling. The unlimited subscription works by allowing people to purchase 90 day rentals of games (that are truncated to end on the last day of your sub) for free. The longest rental that PS Now allows is 90 days. Going beyond 90 days causes 2 problems. First, the ROI (return on investment) becomes substantially lower as the user will on average spend much more time on the system, and the price cannot go up proportionally or people will rage (look at people complaining about the prices now). Second, it forces publishers to commit to keeping their game on the service for 4x the current time. Even Netflix loses movies that they offer occasionally as the contract expires, and re-negotiations don’t fare well. I can almost guarantee you that Sony doesn’t purchase the right to stream the game indefinitely… and instead they sign contracts forcing the publishers to give 90 days notice prior to removing the game from the service. @72 – I use PS Now almost daily — including twitchy games, and the input lag is pretty much nonexistent for me. However, I live in the twin cities, and I’m probably only streaming from Chicago(ish). Where do you live, what system are you using to stream, and are you using WiFi or ethernet? My PS4 (on cat6) is seemless, whereas, my Vita occasionally chokes. @14 xXGlassArrowXx – Hopefully not,we got enough recycled games already that should all be available on PSNow instead of being falsely advertised as “new games”.And if you didn’t buy your PS4 for true PS4 games…well shame on you. @Cradda: I also like Netflix and Redbox for movies because…well, I don’t care much personally if I own a movie or not. Further, the experience of watching any movie on Netflix is (for me at least) no different from watching the same movie on a disc I own. That’s not yet the case for many people using this service. Lag abounds for any number of reasons, though of course many others are playing with no such problems. But it may be years, if ever, before this becomes a Netflix-like service in terms of identical quality. Regardless, there are many who don’t care if the quality is perfect. They don’t want this at current prices or at all. I think it’s good to hear from all sides. @Sabvre: You’ve made some excellent points and counterpoints in this thread. They don’t necessarily make me want to up and subscribe, but still: good points and you haven’t been remotely rude about it. Cheers. That’s actually a bit of a problem, since the Vita WAS initially marketed that it could play PS3 games with Remote Play, but that wasn’t fully utilized until the PS4. Likewise, you can actually still play a few PS3 games with it, and you’re supposed to be able to play all PS4 games with it. Can you guys add some ps vita game to steam on the ps4? i would love to play freedom war on the big screen with my dual shock 4!!!! Make it happen sony!!!!! I would love it if this service could someday be used to resurrect the multiplayer modes in some games that have been taken offline. SOCOM and Homefront come to mind. This would be great for those of us who loved to play those older games as well as for trophy hunters who are missing multiplayer trophies for games that they want to platinum. Looks great! Too bad Australia hasn’t seen the release of PlayStation Now, any chance it will be released to us anytime soon? @82 – Those games don’t generate revenue anymore so they’d just be throwing money away by putting up servers for multiplayer that almost no one would play. I’m having trouble understanding your target market for this service. At 19.99 a month, 44.99 USD every 3 months this is a very expensive service. That is 179.96 (plus tax I assume) a year for a service that gives you the permission to play games that require internet, very good internet in fact, to play. Take in the limited library and how its honestly more convenient to just buy what you want to play, even from a pawn shop and then resell it if you need to – I cant see this service appealing to more than a niche audience. This will not help your bottom line and I see the service either being eliminated or phased into PS+, or something similar, after a trial period of about a year. Just remember, people pay for convenience. I guess your Sony Labs did some focus groups that said that they found value to pay at least 20 dollars a month to stream games they may or may not want. As someone who operates in the telecommunication service industry, this whole service and more importantly the price is coming off very short sided or poorly thought out. @85 – Most of us are not the target market. It’s for people who missed out on last-gen games and/or PS3 exclusives. If you own(ed) a PS3 – or even an Xbox 360 – you won’t find much value in it. If renting is your thing, you’d be better off using Gamefly. Please put WipEout HD with the Fury expansion on the PS Now rental and subscription library! Such a classic! As mentioned, more high quality 3rd party games, not shovelware. Need remote play and PS Now on more devices. Still too steep for me. Love the idea, though. So i have the 3 monthly service. Just beat ff13 for the first time. I was about to play the sequel but now I have to pay more money…… atleast have it as a discount for the people who have the monthly service and want to play a ps now game that is not in the monthly service. Either all of you that complain about the price are broke or just like complaining, but $20 a month is a great price for the amount of value for this service. I thoroughly enjoy PlayStation Now and am looking forward to what games come out in the future. Thanks for bringing Uncharted 3!! Now just bring all the Metal Gears! I’m a PS Now subscriber, and I will admit that $15 a month is pretty steep. Especially considering that it only gives me access to certain games and not the entire catalog of available games. For $180/yr, I feel we should not have to seperately subscribe to any game in the PS Now catalog. Sadly that is not the case. There are quite a few games on PS Now that I can’t play unless I pay extra for them. I think that is a disservice to your paying customers. Also, one of the reasons why I will probably not be renewing my subscription later this month. I think PS Now is a great concept that is being poorly executed. You can easily access your preferred power options. I will get this as soon as PS1/PS2 games are added….specifically RPGS! It’s a good concept but they need to and a lot more games and need the to somehow lower the price.